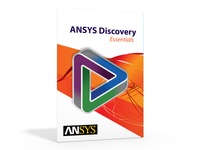 The ANSYS Discovery products are available in Bundles with annual subscriptions and options to purchase outright. You can order and renew through our on-line portal or by contacting us. The Discovery Essentials bundle includes SpaceClaim direct modeling for part, assembly, and drawing creation. It includes tools for full model repair and editing, translators for most CAD packages and neutral formats, reverse engineering of faceted data, manufacturing, and sheet metal optimization. 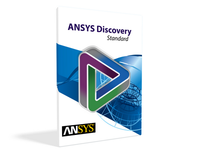 The Discovery Standard bundle brings the power of SpaceClaim direct modeling with the real-time simulation of ANSYS Discovery Live. You’ll have rapid, upfront design exploration for structural, fluid, thermal, and modal analysis. Discovery Standard also includes advanced STL editing capabilities. Discovery Ultimate contains extensive structural, fluid, thermal, and electromagnetic simulation capabilities through ANSYS AIM and ANSYS Discovery Live. In addition to Discovery Live’s instantaneous simulation environment, you have the power of SpaceClaim direct modeling for a complete 3D CAD modeling tool.